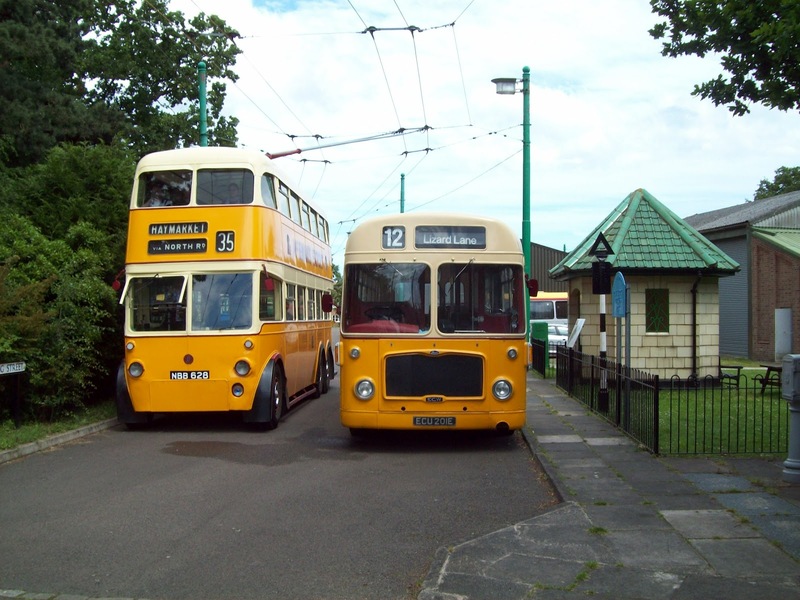 One vehicle attending the recent ECW event at the East Anglia Transport Museum arrived only following towing assistance from another vehicle to get to there. It required a little TLC in order to be readied for a return 'tup north'. The vehicle in question was South Shields Corporation's Bristol RE ECU 201E, which was absorbed into the Tyne and Wear PTE fleet in 1970. 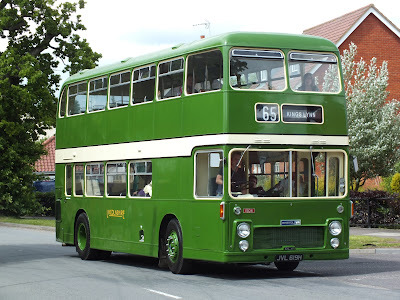 The vehicle was originally preserved in South Shields Corporation colours but currently wears the subsequent PTE livery and on the Saturday the opportunity arose to see the bus alongside Newcastle BUT trolleybus 628. Looked in at Great Yarmouth's Beach Coach Station early this afternoon and Shearings Volvo B12M 810 (MX06AMK) was one of the nine present. Also evident was that the construction of the new access was proceeding well with the first asphalt dressing being delivered. Elsewhere, First Eastern Counties continues to use its two AEC Routemasters on the seasonal 3/3a routes between Hemsby and Great Yarmouth holiday centres. 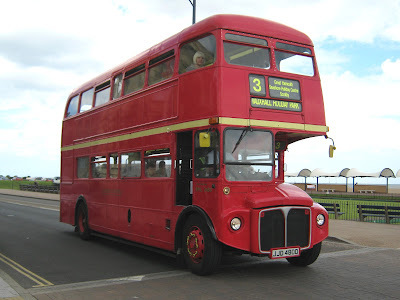 RML 2480 (JJD480D) was noted, at around 14:50, passing the Britannia Pier for the turn into Marine Parade, prior to heading for Vauxhall Holiday Park. Unfortunately the sun retreated just before I took the photo! 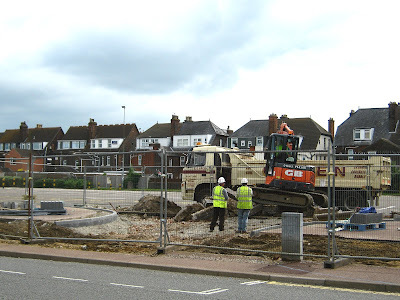 Regular contributor Grahame Bessey recently visited Reynolds of Caister's site at Ormesby Road in the village. Previously registered N142 CVP when new in April 1996, it has seen use in the Birmingham area with Flights Hallmark being one of its previous owners. 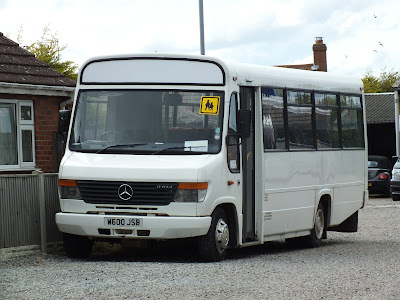 The second 'newcomer' was Mercedes Vario 0841D W600JSB still in white and also without fleetnames. 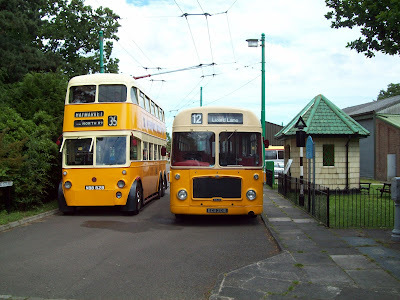 My thanks to Grahame Bessey for allowing me to use his photos on the blog. More Scania Omnicity's from London's Metrobus continue to appear with Anglianbus. 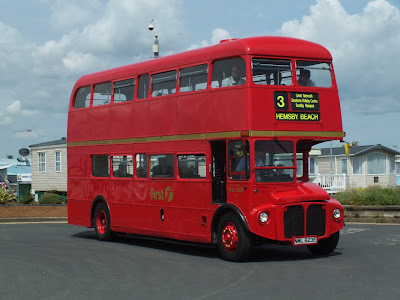 The latest arrival is 444 (YH05HFF) captured by Grahame Bessey at Gordon Road in Lowestoft working the newly introduced 601A route to Pleasurewood Hills Amusement Park. 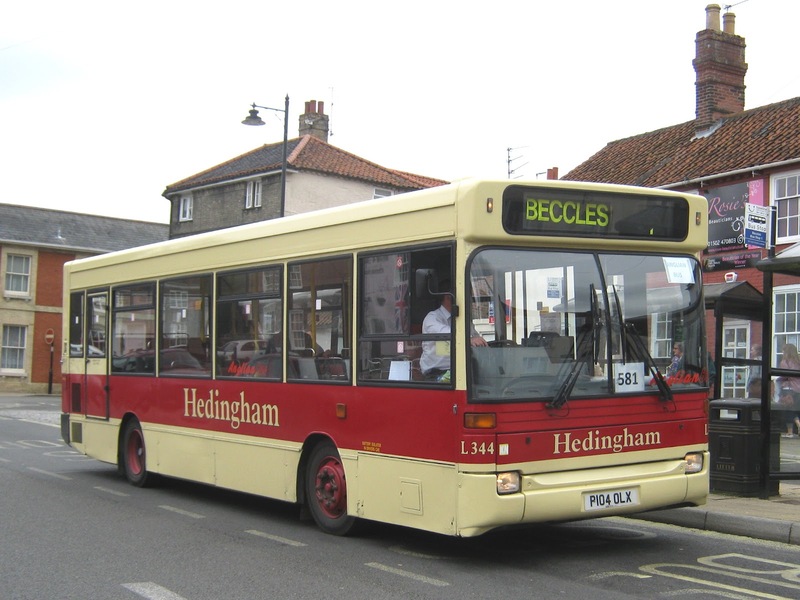 So far three of the five buses have been noted in service in Anglianbus livery but do not appear to have been allocated fleetnumbers in any particular order. 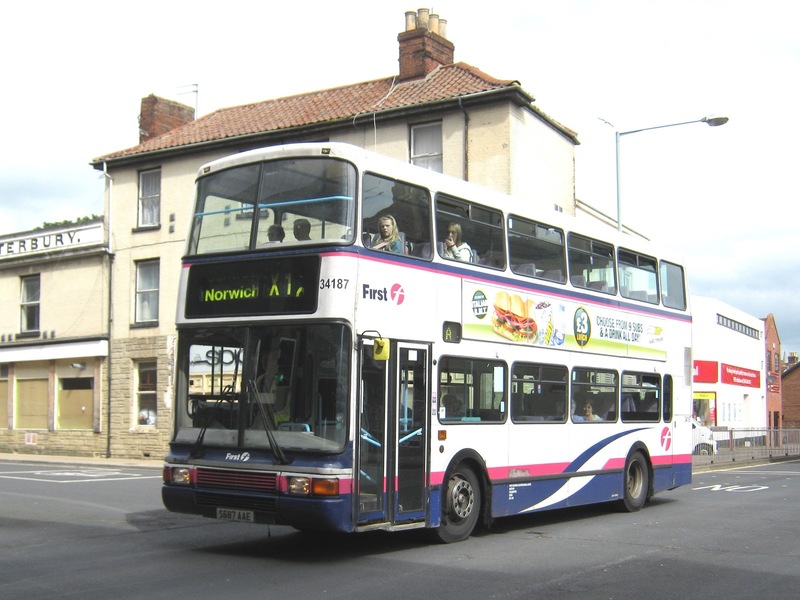 The three recorded in service so far are 442 (YN05HFH) 443 (YN05HFJ) 444 (YN05HFF). Yet to be noted in service:are YN05HFE and YN05HFG. 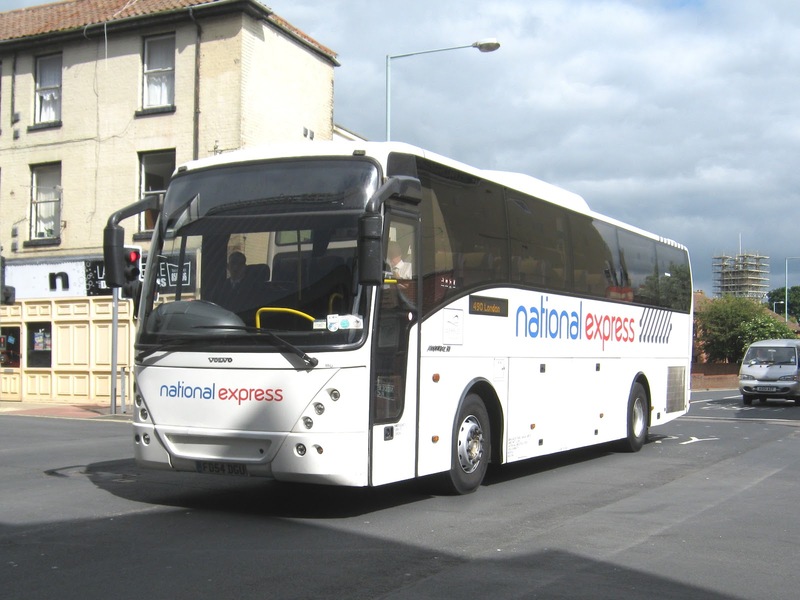 Eastnorfolkbus will provide pictures of the new vehicles as soon as they are seen operating in service. 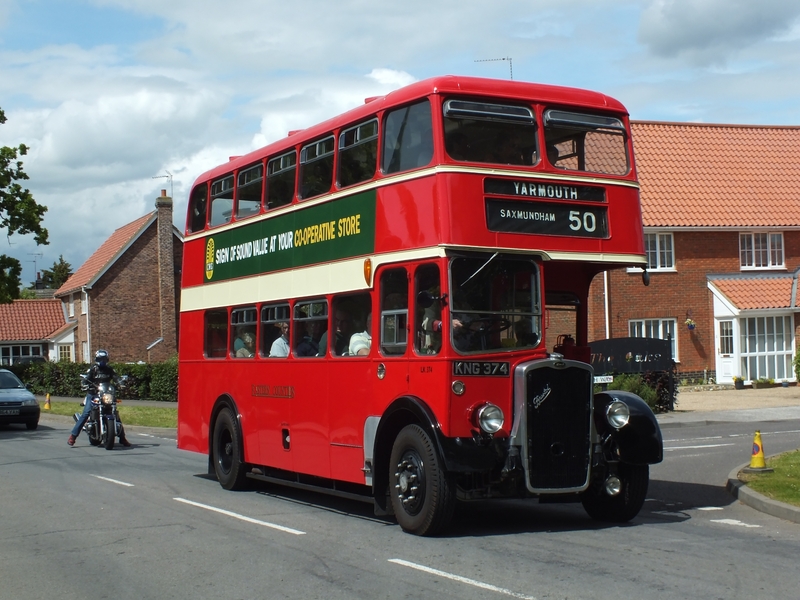 The event, held at Carlton Colville over the weekend of the 16th and 17th June, was used to mark the 25th anniversary of the closure of Lowestoft bus factory Eastern Coach Works. 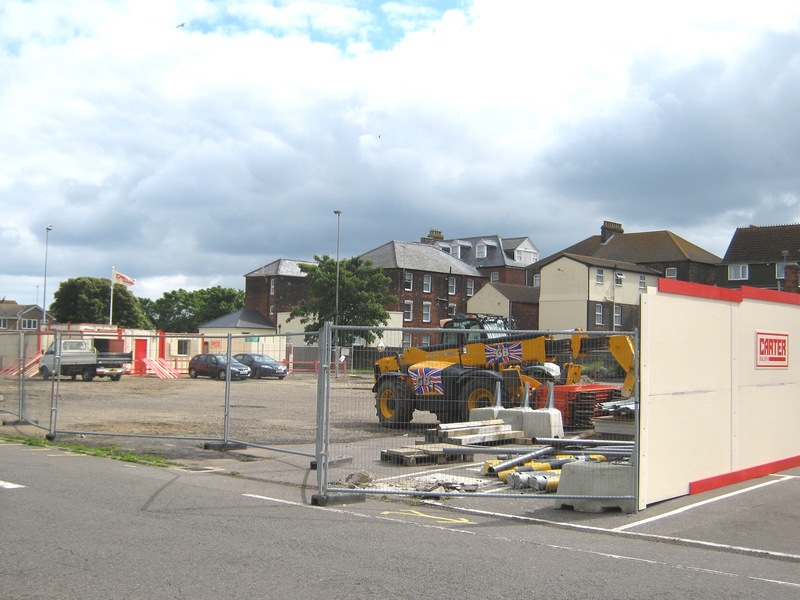 Vehicles started arriving on the Friday before, with the first being a Southern Vectis Lodekka from the Isle of Wight. 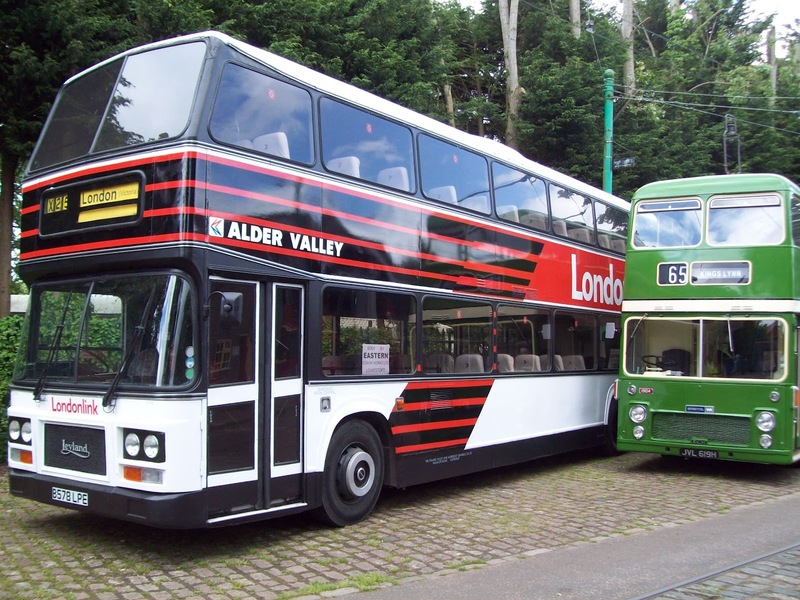 SDL268, is shown alongside former Eastern National K 1407 (VNO859) - complete with BE allocation plate. 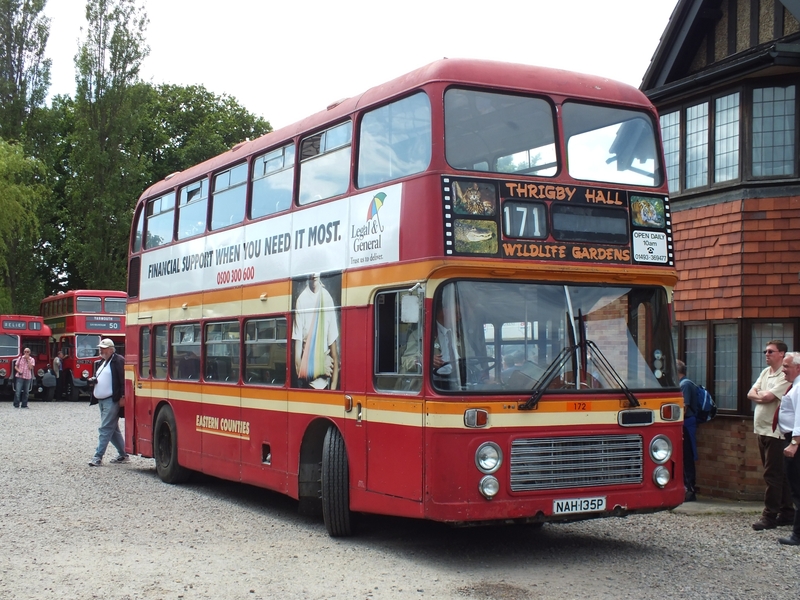 The next photo shows Alder Valley Leyland Olympian Olympian B578LPE. 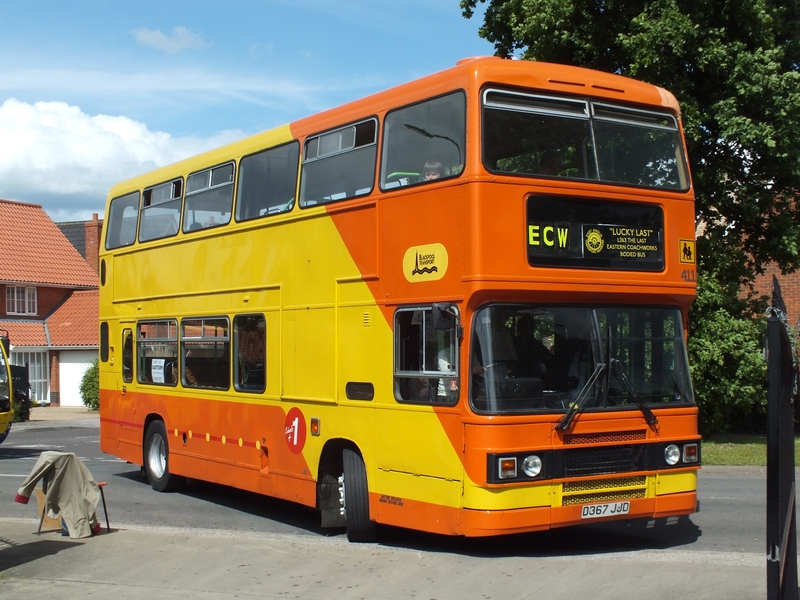 Numbered 1510 in the fleet, it is the first 'commuter' style ECW coach bodied Olympian to be restored to its original appearance. New to the operator in August 1969, it passed to PVS Carlton, dealer, towards the end of 1989. It was subsequently secured for preservation in May 2002 after further use as a play bus and fun bus in the Milton Keynes area. 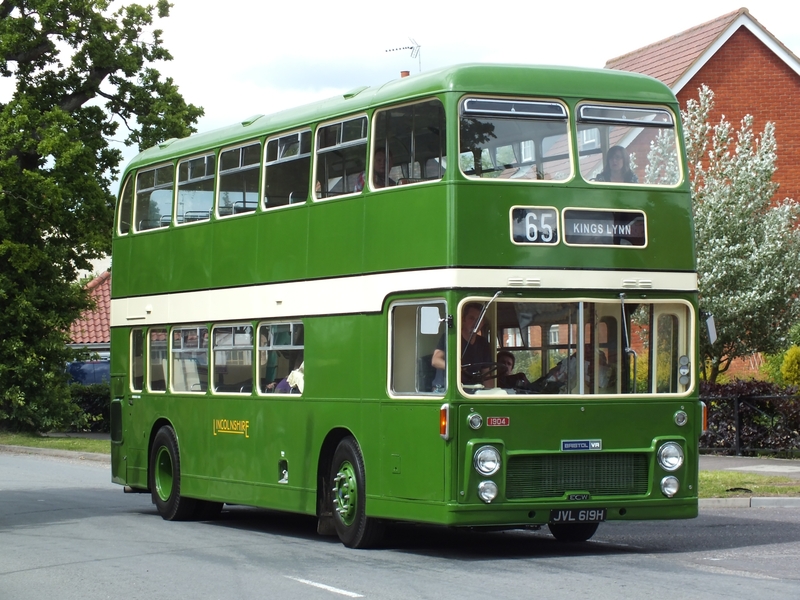 was Olympian D367JJD, latterly with Blackpool Transport. A feature on this vehicle appears on this blog. 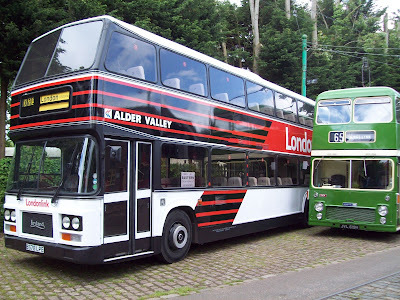 Some former Eastern Counties vehicles featured at the event in various liveries. 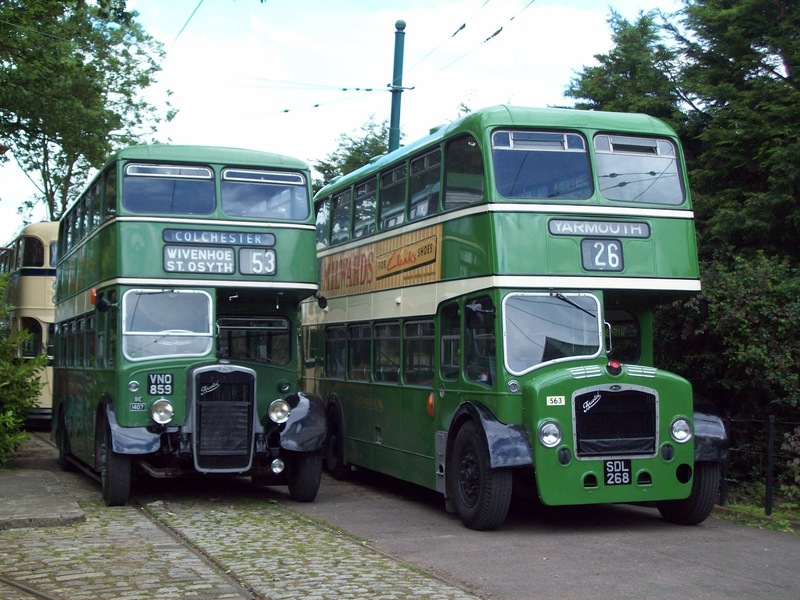 Normally to be found at the Ipswich transport Museum, LK374 was new to Eastern Counties in 1949. It was one of the standard lowbridge double deckers needed due to the number of low railway bridges in the area. 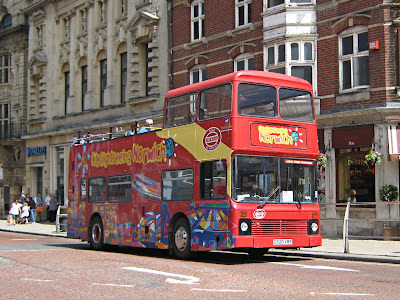 The second former East Counties bus is another Bristol VR. 172 (NAH135P) was new in April 1976 and lasted 20 years before withdrawal in December 1996. It subsequently spent some time in the care of the Eastern Transport Collection before being acquired privately. 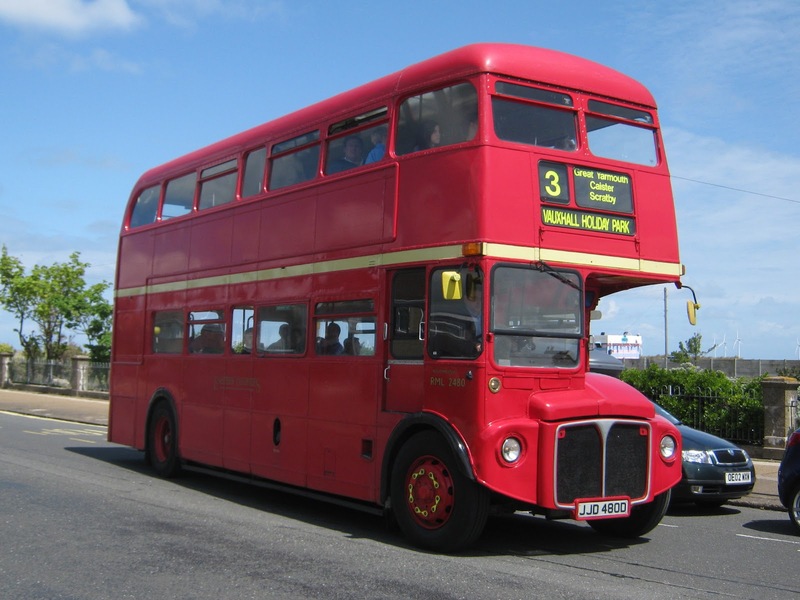 The final vehicle featured is RE 896 - one of my favourites! 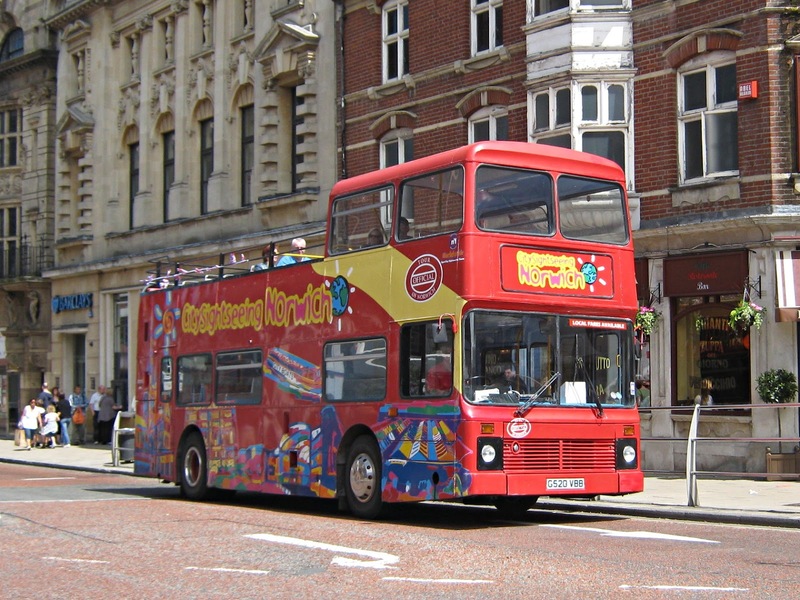 SVF896G was one of many similar examples operating tours out of Great Yarmouth's Wellington Road depot for holidaymakers. Following the closure of the museum on the Saturday evening, all the ECW bodied vehicles travelled to the site of the former Coach Works, which is now the North Quay Retail Park. The entourage then proceeded to North Parade for a photo stop before returning to the museum. A spare quarter of an hour to kill this morning at Market Gates Bus Station whilst awaiting a call from the garage regarding the car. Following closely behind was one of Ambassador Travel's Volvo B12/ Jonckheere Mistrals about to take up its National Express 490 duty to London. It's great to be back again after more than two weeks away touring the USA. More about that later. 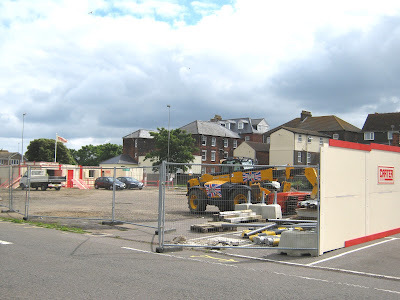 On my first visit to Great Yarmouth since returning from holiday at the weekend I passed the town's Beach Coach Station and saw that work had started on building the 19 homes planned for the northern part of the site. One wonders if the new access will work ok as Nelson Road North can sometimes build up with traffic during the rush hour. The East Norfolk Bus Blog is taking a two week break during June but will be back before the end of the month. Please continue to send any pics or reports that you may have on local bus activity and events and we will update the blog on our return. We will be back in service before you know it! The Traffic Commissioner for the Eastern Traffic Area published another Notices and Proceedings Report on 30th May 2012. The report provided details of proposed alterations to bus services in the Eastern Traffic Area. Operating between Bungay and Lowestoft given service number 601/601A effective from 27-May-2012. To amend Timetable. Correspondent Harry Stanley visited the 4th Clacton Bus Rally yesterday and reported seeing a wide variety of vehicles from various operators. Former London Country RT3125 (KXW234) made an appearance as did a couple of Hedingham Darts - EU56FLN and EU05AUT. Another Dart but with a Wright Handybus body, was J317XVX which came from Thameside/ Countybus. 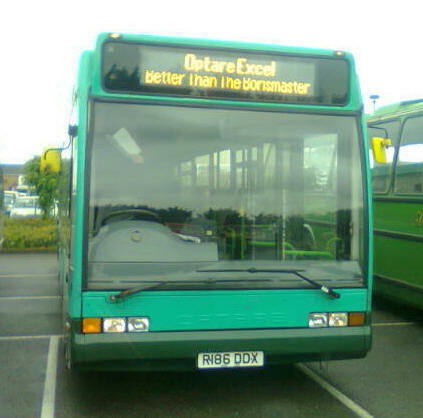 Former Norfolk Green and ex- Ipswich Optare Excel R186DDX also attended with its destination screen displaying 'Optare Excel Better than the Borismaster'! 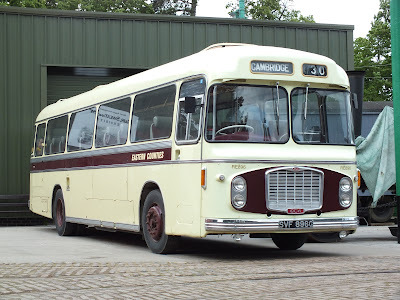 Andy James informs me that it was acquired for preservation last year by a private buyer and it is believed that it will be restored to Ipswich Buses colours in due course. 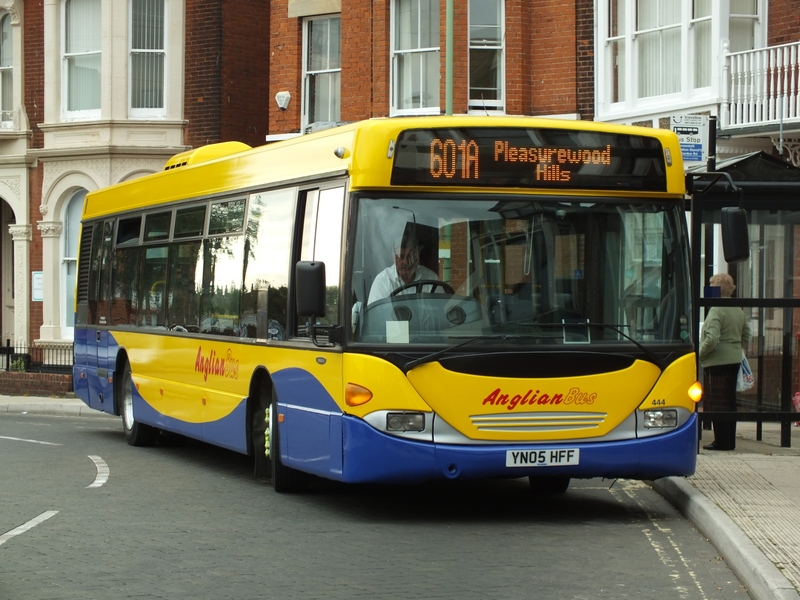 Regal Busways paraded its former London ALX400 X298NNO whilst Network Colchester provided Scania N230UD 105 (YT59NZM). My Thanks to Harry for his report and photo. A full list of participants can be viewed on the Clacton Rally website by clicking the 'Previous Events' tab. Following the re-introduction of First's seasonal route 3/3A from Saturday 2nd June, there would be an opportunity to photograph one of First Eastern Counties Routemaster in active service once more. After spending all Sunday involved in the Jubilee celebrations, I was determined to observe the 3/3A route for myself on Monday. I arrived on the seafront at around lunchtime, just in time to see an unidentified Volvo Olympian pass me on North Drive heading towards the Seashore Holiday Park. However, unbeknown to me the vehicles had swapped over; so I got my picture of a Routemaster in service on the 3 after all! 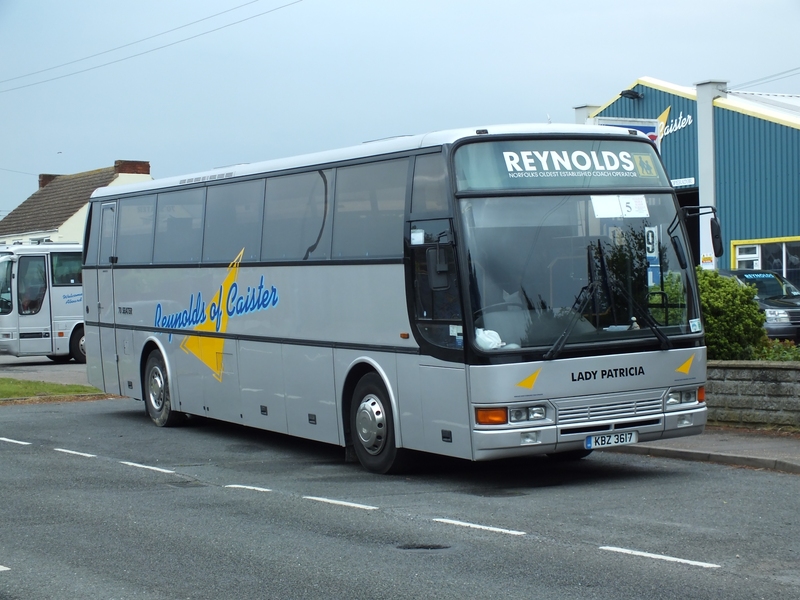 RML2480 (JJD480D) is pictured in rare sunshine! My first photo is that of Simonds MAN AE55MVK on St Stephens Street awaiting at the traffic lights approaching the junction. A Leyland Olympian with a Northern Counties body, it was working the Norwich Sightseeing Service. G520VBB was new to Kentish Bus in January 1990. 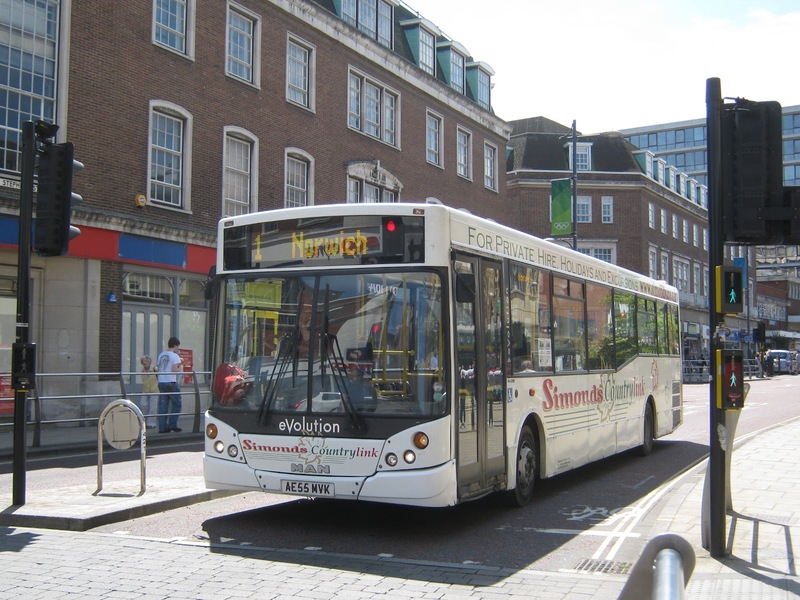 The best appeared to have been saved for last, as making its turn into Theatre Street was First's Volvo B7L/Wright Eclipse 66334 MV02VBZ. 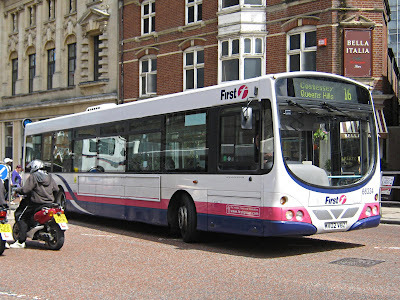 This former First Northampton bus was expected to be first of a batch for Norwich to replace existing Scanias and Darts. It has since been suggested that this has been called off with 66334 remaining here. As already report on this blog, Anglianbus is using two Darts on loan from Hedingham Omnibuses. 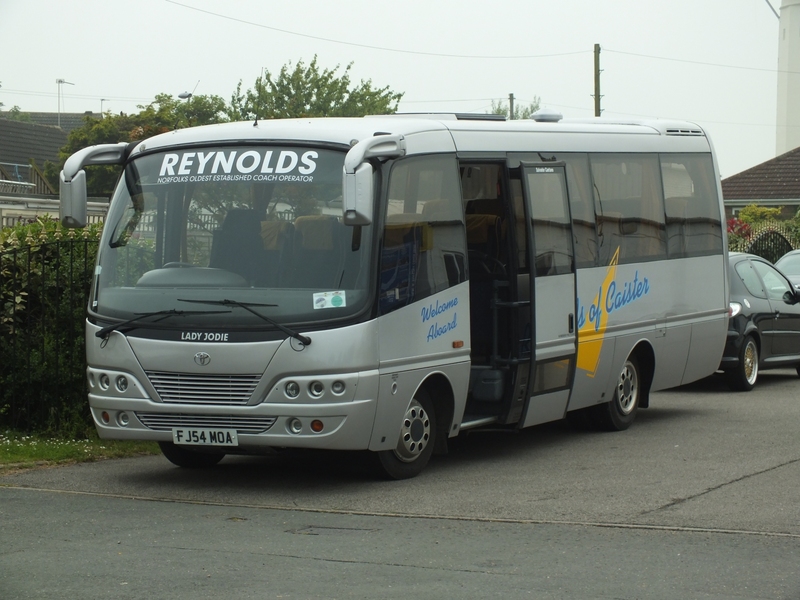 One of them was seen at Beccles Bus Station this afternoon arriving with the 14:58 581 service from Great Yarmouth Market Gates.